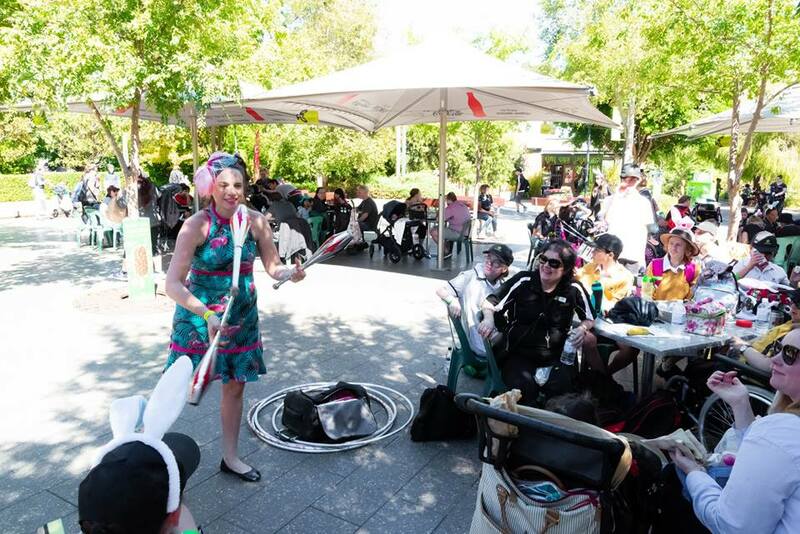 Roving Entertainment, Variety Easter Picnic, Adelaide Zoo - ""
We were pleased to have the fantastic Katie roving with juggling clubs and hula hoops, plus Adelaide’s latest Bubble Man (aka Mr Spin) at the Variety Easter Picnic at Adelaide Zoo this week. 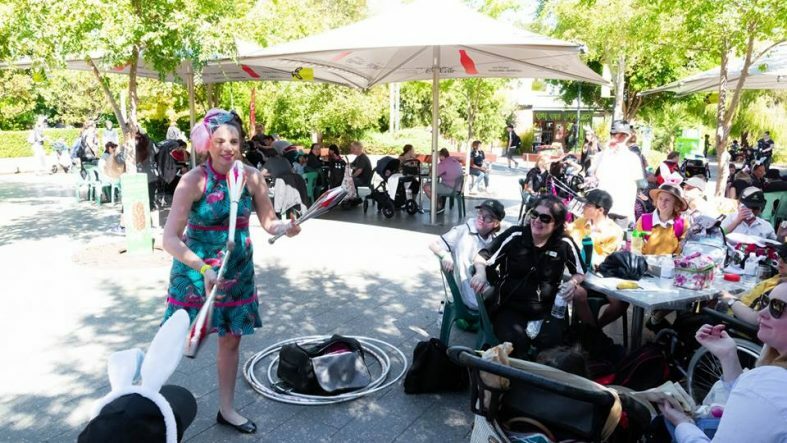 World class performers for a wonderful event for children, carers and families that we have been pleased to be a part of for a number of years. Another glorious day for it. Thanks everyone!